Thank you for the support through out 2016. This has been the year of volatility and unexepcted surprises. While it has been a tough year for many of us, however, let's look ahead with the new year fast approaching. May 2017 be a better year for all. This is my final report card for 2016. As most of you readers all know, I am the only financial writer who provides a MONTHLY report card to ensure transparency and accountability on all my value picks to the public. The purpose is for record and for clarity sake. As this is the last month, I will also sum the return for the year. Please note, this is not to boast or shout but merely for transparency and accountability purposes. I have made several calls from end 2015 and through 2016. This is the updated results as of end Dec. This is just a simple periodical report to keep track of the progress of my picks for readers. My updates is for the purpose of transparency and accountability to the calls I have made. Feel free to cross check my comments / article posting date as reference for the calls. For the full year 2016, Tradeview Group close the year with 11 / 16 winners against losers. 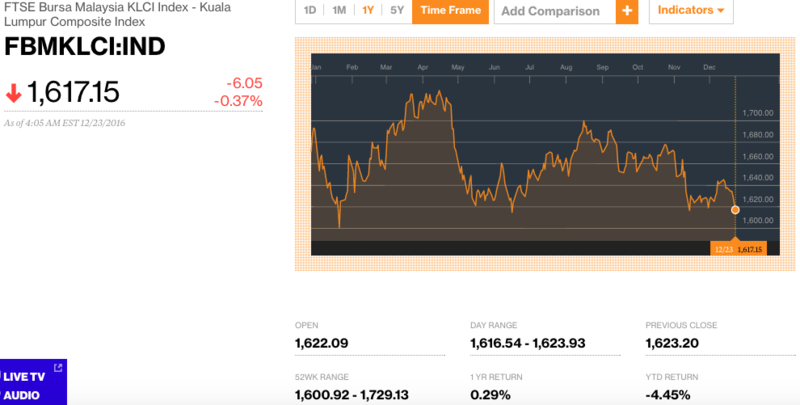 Additionally, we have net gain of 8.6% for the year vs FBM KLCI -4.45% for 2016. Tradeview Value Picks 2016 beat the market by a total net 13.05%. Tradeview is a Value Investing group. We do not trade short term, we do not punt and we do not speculate. We invest and we invest in the businesses as though we are part of the business owners. I like to think that having own even 1 share in the company makes me a part of the company. Hence, if I choose to invest in the company, I aspire to be part of the company's future. If you are keen to have the earliest possible call picks or FA/TA coaching or join my private group, feel free to contact me at tradeview101@gmail.com to sign up or Tradeview Private Group 2017. Merry Christmas and Happy New Year. Thanks. **Some counters I may have spotted at lower entry price but I displayed the call price based on my first mention in public forums. Also, of the 16 counters above, some counters I have taken profit, some are still holding, some I have cut loss. My subscribers would know.